Disney Starts Streaming Films — Who Wants Us To Babysit? Photo: Via The Incredibles Facebook. Man, today's kids have got it good. Sure, our generation did stuff like play outside, and our moms couldn't post our potty-training photos on Facebook, but watching a Disney film pretty much involved getting a satellite dish or watching some scratched-up rental. Now, it just takes a good WiFi connection. With the launch of Disney Movies Anywhere, some 400 titles from Disney, Pixar, and Marvel can be streamed online via iTunes or downloaded to watch during the trip to Pop-Pop's house. 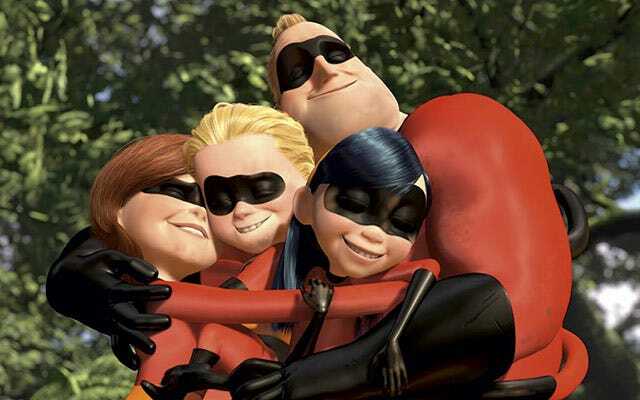 Right now, users can even score a free digital copy of The Incredibles. And, hello! Frozen just came out on digital today. Why are you still here?